Clearwater Police officers are investigating an armed robbery that occurred shortly after 2 a.m. on Thursday, November 8, 2018 at Thorntons convenience store, 1698 Gulf-to-Bay Blvd. A white male thought to be in his early 20s implied he had a weapon and made off with cash. He has a significant amount of tattoos including neck and face, with “RIP” over his left eye – that should make him easy identifiable by the public. He left the scene in a white vehicle, possibly a Chevrolet Malibu or Impala. The Largo Police Department had a similar robbery three hours earlier on 150th Avenue with a suspect matching the description of the suspect. 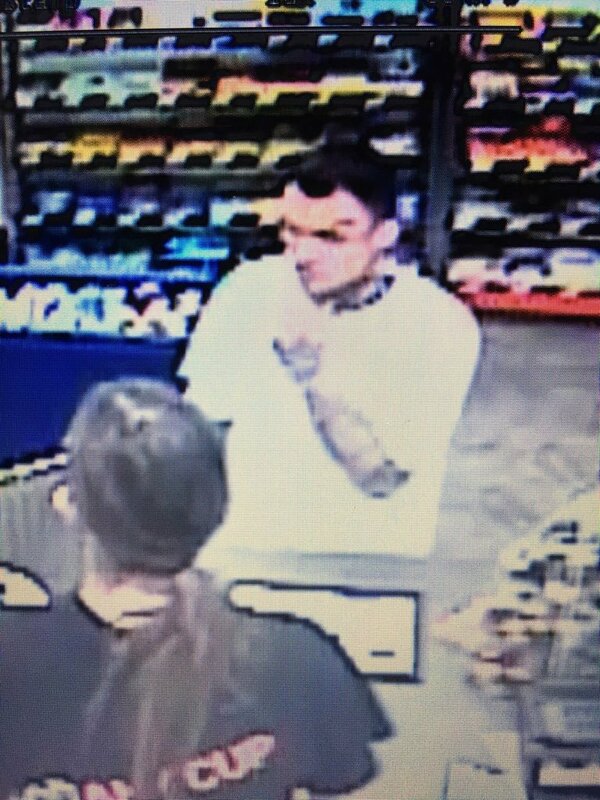 Anyone with information on the identity of the suspect should call Clearwater Police at 727-562-4242.